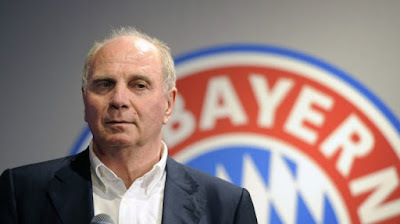 Bayern Munich's president Uli Hoeness has called on Paris Saint Germain to sack their sporting director for the way he approaches the club about Jerome Boateng. Antero Henrique made an approach for Boateng during the transfer window but actually withdraw when Bayern named their price for the player. However, Bayern president believe business is not done that way and that the sporting director is not a great advert for the club. Bayern sporting director Hasan Salihamidzic also agree with the club president and added his own view of the situation. The move eventually didn't materialised and Boateng remain a Bayern player.